Little girl was exploring the playground, when suddenly a toy crocodile spoke to her. She understood, that this playground has a secret. Can you help her in solving the mystery? 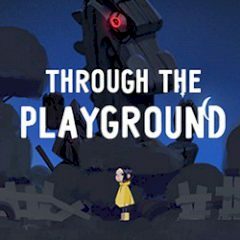 Help one little girl in solving the mystery of the playground. It has so many interesting objects, but when you touch one, it talks. They don't tell you much about themselves, but recommend to stay away. These toys don't want to be seen in a company of a little girl. Why do they act like that? Explore the playground and find the answer!